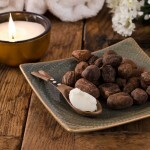 Purpose: Quick absorbing butter to relieve dryness & provide 24hr skin hydration. 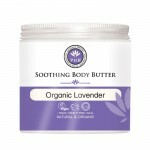 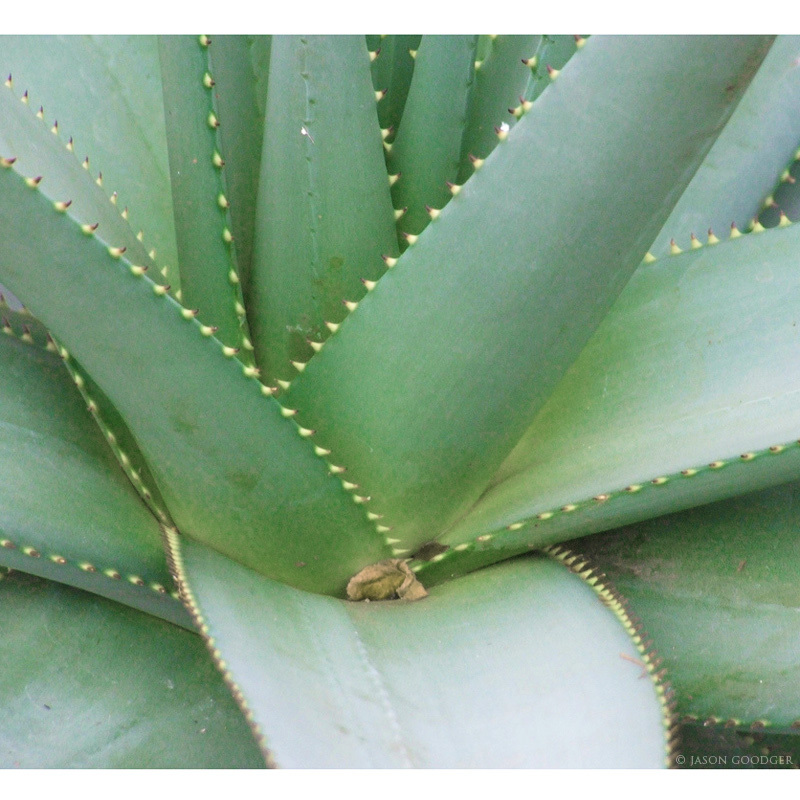 With Organic Lavender to nourish and soothe skin & senses. 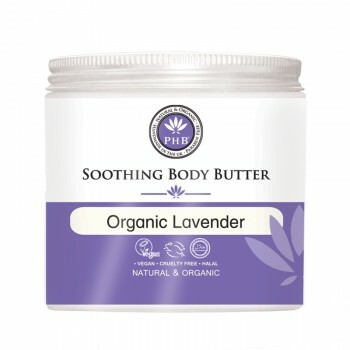 PHB’s Soothing Body Butter is handmade using Organic Lavender Oil to aid skin renewal & elasticity to keep skin looking youthful. 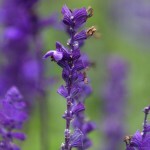 Lavender has powerful therapeutic qualities which help relax and soothe the senses, making this the perfect treat to relax and unwind. We love to use this butter before bed, but you can apply it in the morning too (especially during winter). 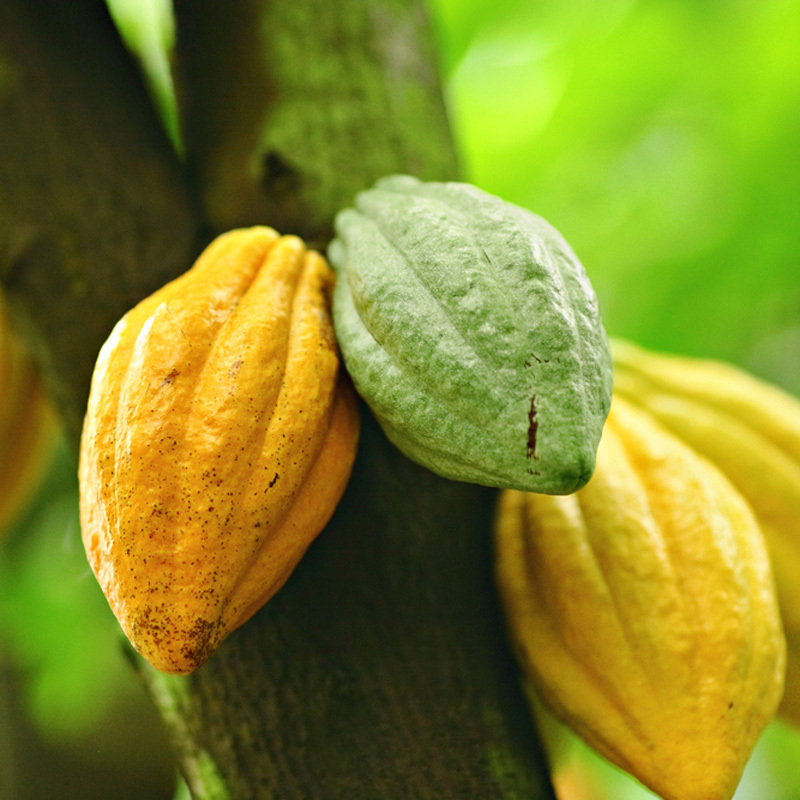 Active Ingredients Organic Shea & Cocoa butters hydrate skin whilst providing essential vitamins and fatty acids which are essential for soft, healthy and radiant skin. 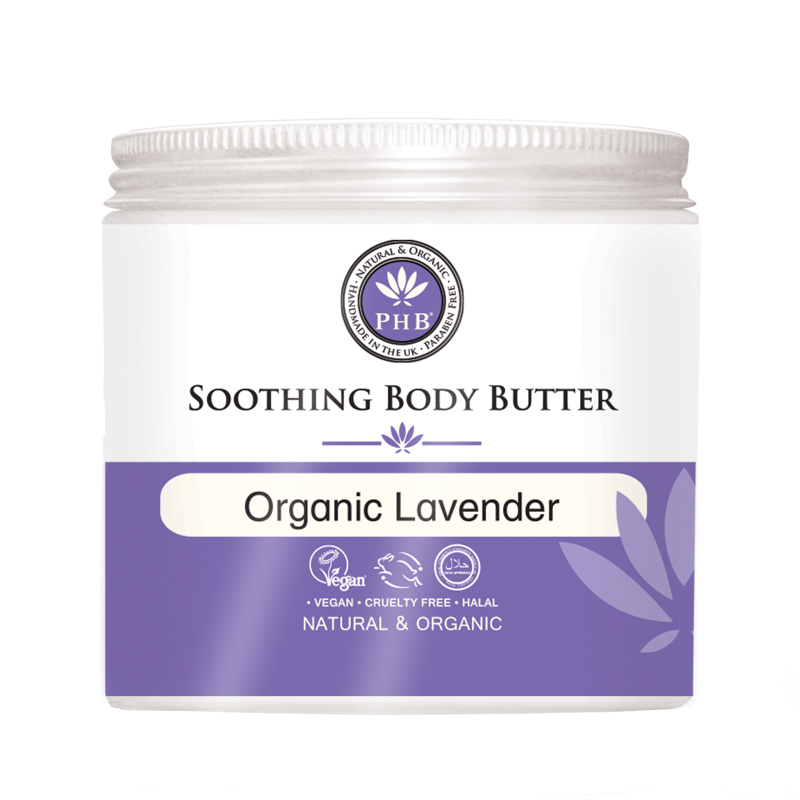 PHB’s Soothing Body Butter is handmade using Organic Lavender Oil to aid skin renewal & elasticity to keep skin looking youthful. Lavender has powerful therapeutic qualities which help relax and soothe the senses, making this the perfect treat to relax and unwind.